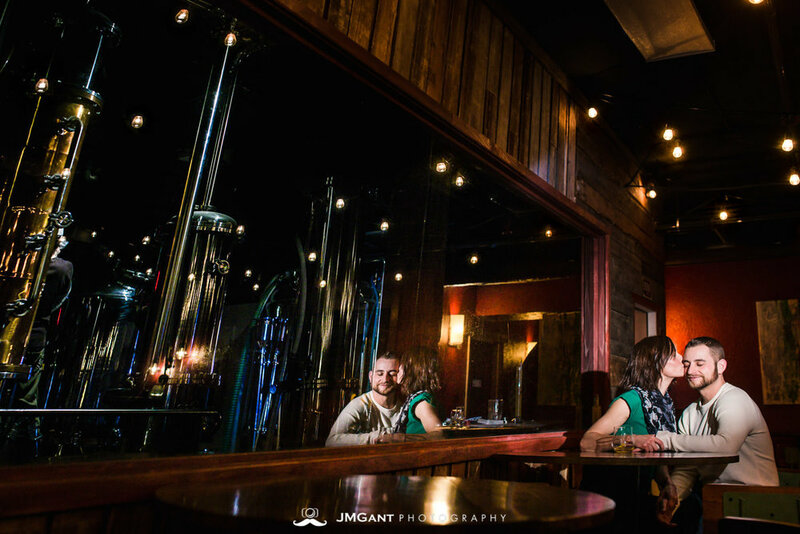 We started out this Winter Park Engagement session with lunch and a few drinks at the incredible IdleWild Spirits. The tour was fun, and the food and drinks were incredible. The owner was kind enough to let us take a few photos in the restaurant prior to heading outside to take advantage of the icon mountain scenery of Winter Park. The mountains and sunset did not disappoint, with soft, winter lighting for about 45 min before the sun hit the horizon and then an incredibly orange, fiery display of colors for 5 minutes before it got dark. 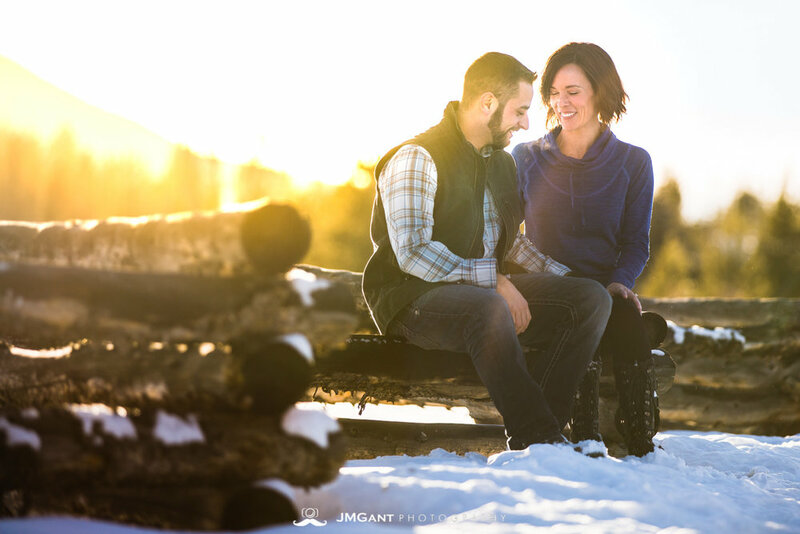 It was fun getting to hang out with Matt and Layna and hear all about their wedding plans and life experiences and ambitions..